Gail A Sisolak Copyright 2014. I visited Bethlehem, PA during the summer of 2012, and found it to be a fun town, filled with a variety of activities for all ages. 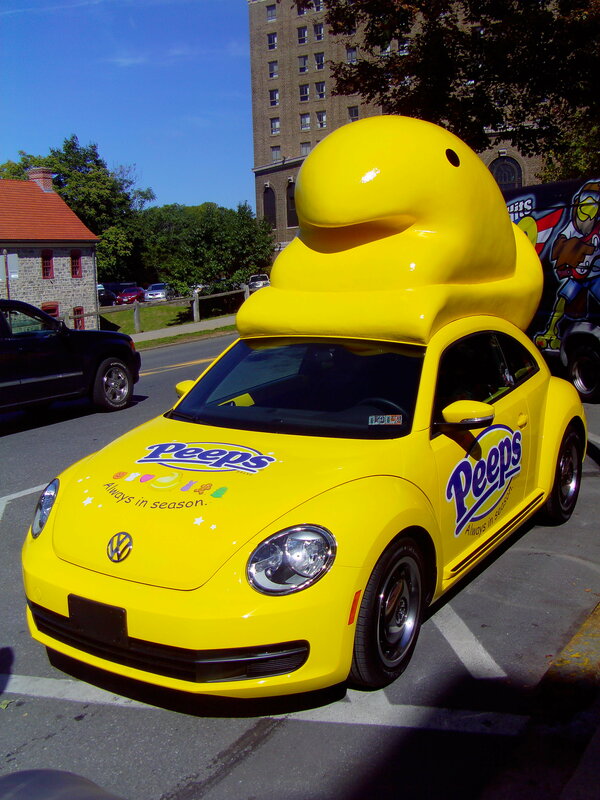 Until I went there though, I didn’t know that it is the birthplace of Peeps. Peeps make me happy! They are bright, cheerful and deliver an instant sugar rush. The make great s’mores too. While in Bethlehem, we found the Peep Mobile at a small community fair. Like the more famous Oscar Mayer Weiner Mobile, its function is largely decorative and promotional. Still, wouldn’t it be fun to be the driver? Imagine the smiles you’d get driving down the highway. Categories: Pennsylvania | Tags: A Word of the Week, Bethlehem, Mid Atlantic Region, Mid Atlantic States, Mid Atlantic Travel, Peep Mobile, Peeps, Pennsylvania, Transporation | Permalink.